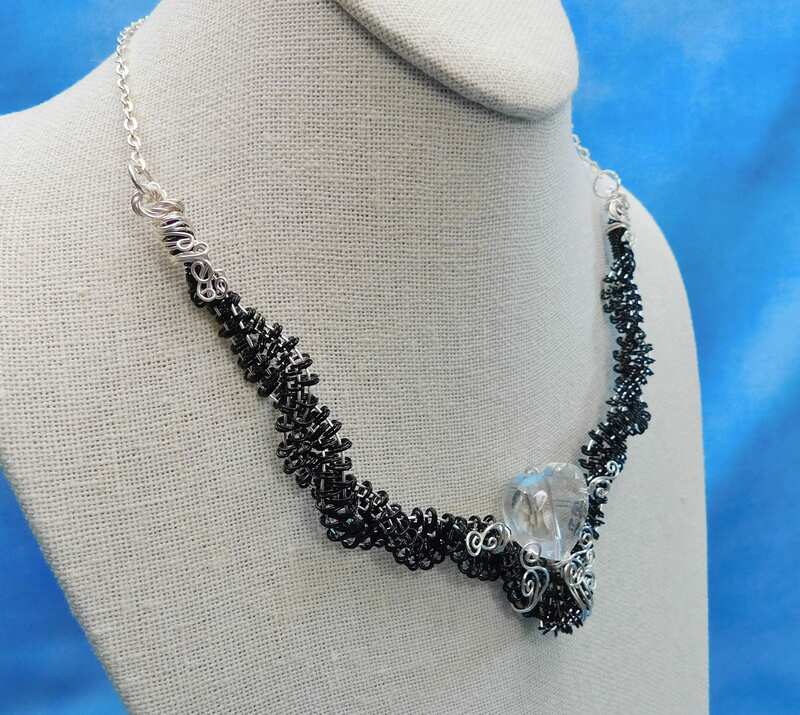 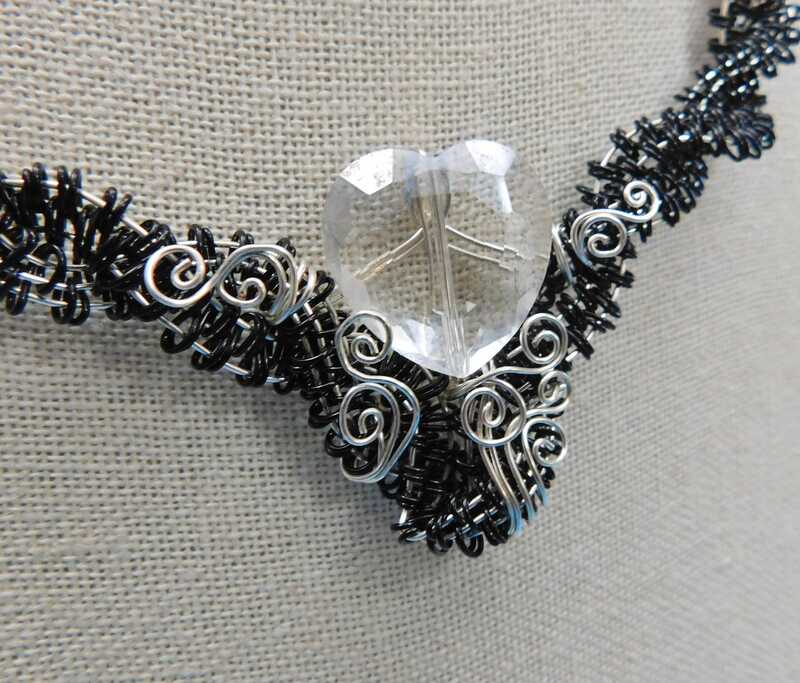 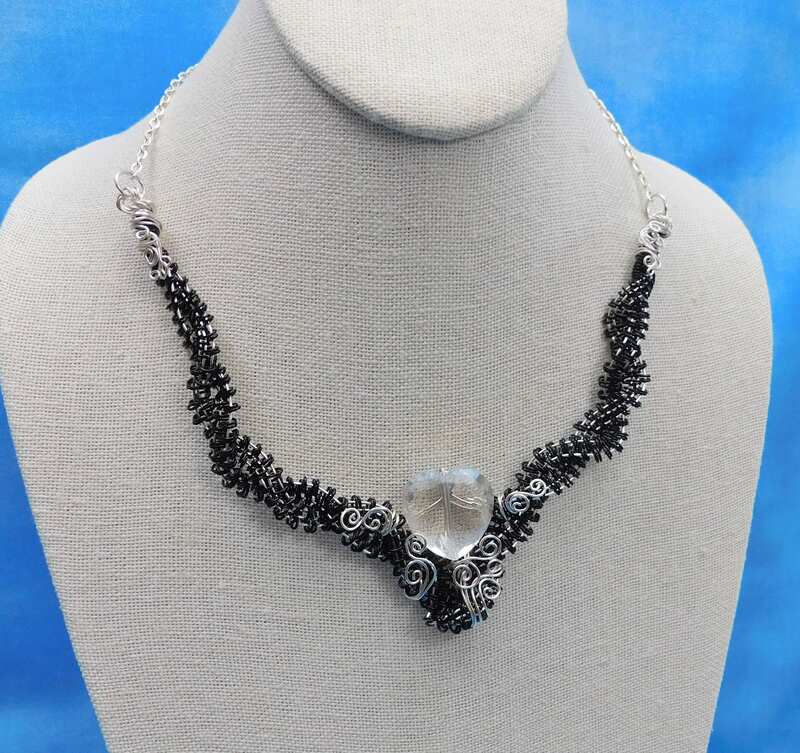 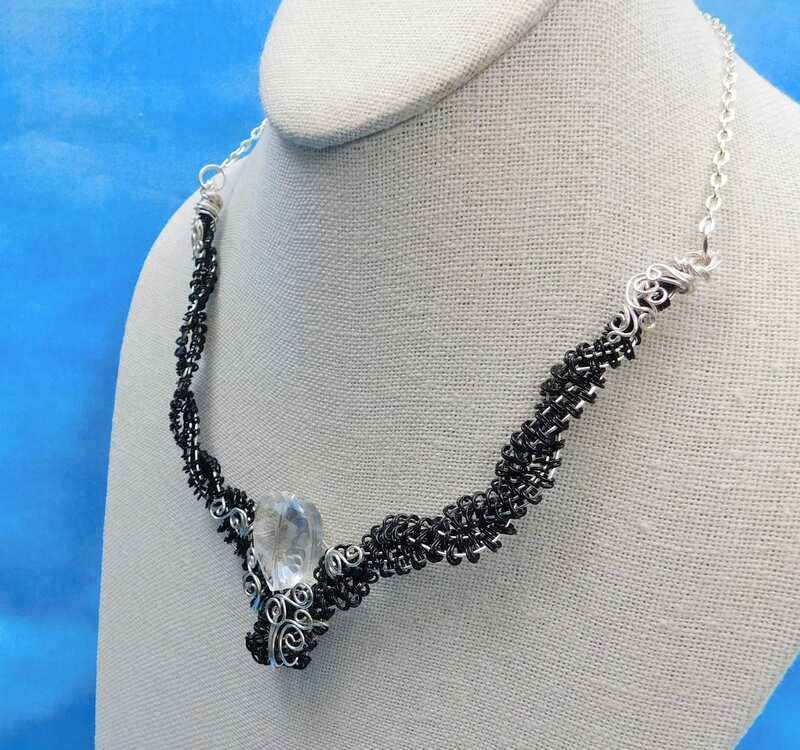 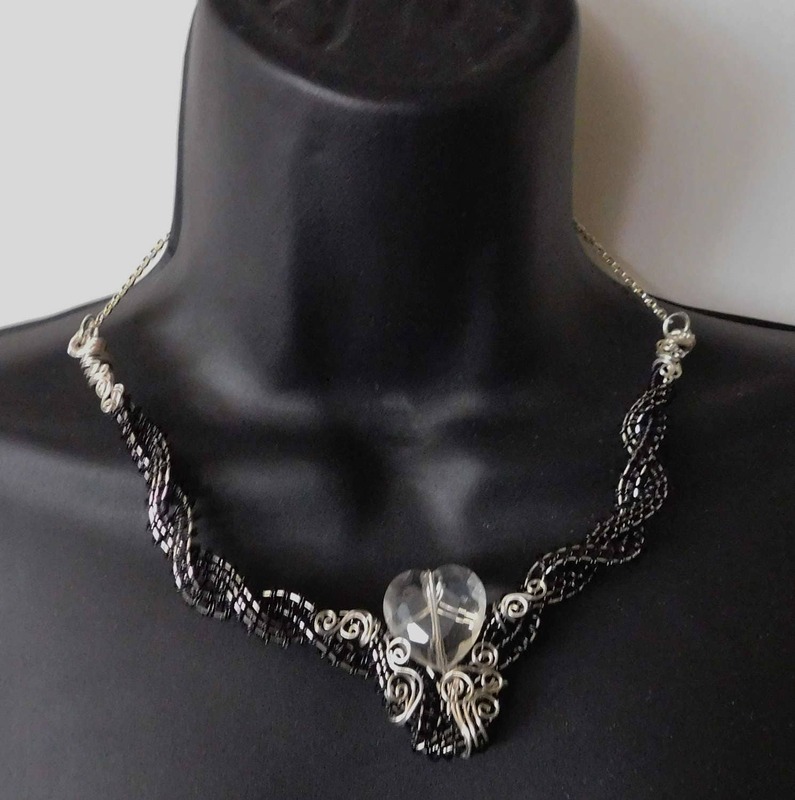 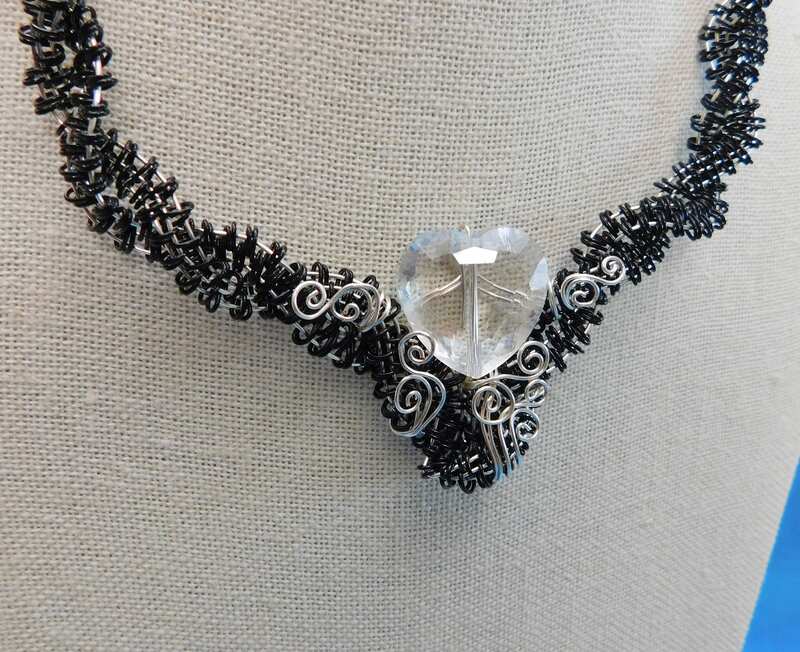 Black copper wire is hand off-loom woven with non tarnish fine silver over copper wire, and is then intertwined and sculpted into a sweetheart bib shape. 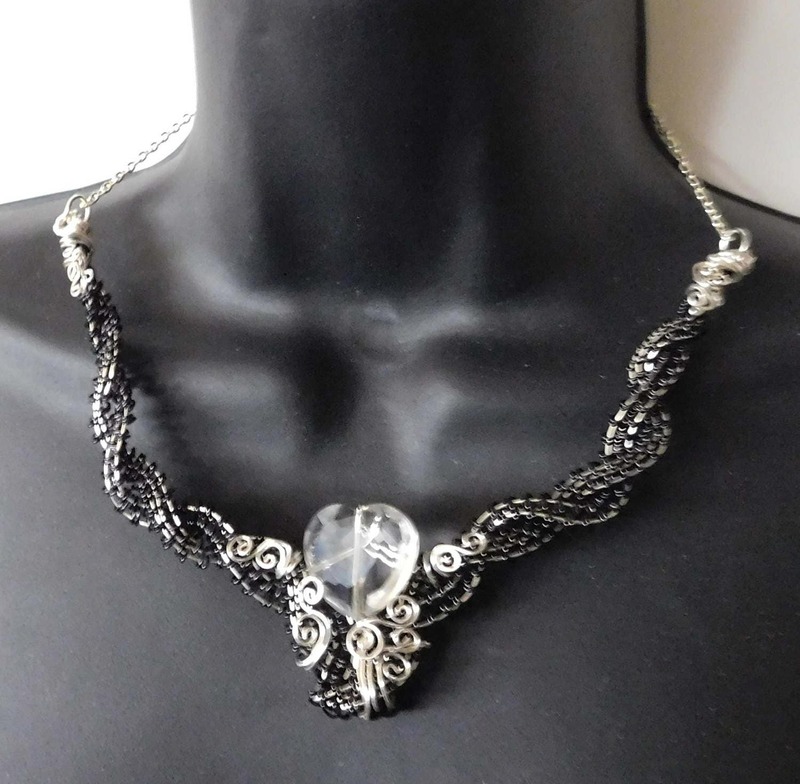 The center is adorned with a clear glass heart. 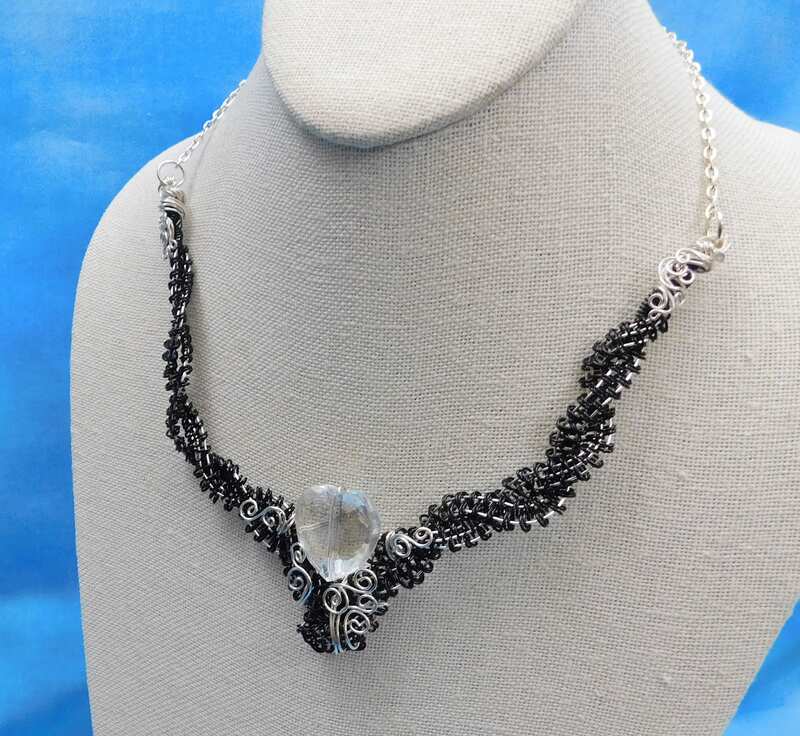 The bib measures 10 inches from end to end and is suspended from two 5 1/2 inch lengths of chain with lobster claw clasp. 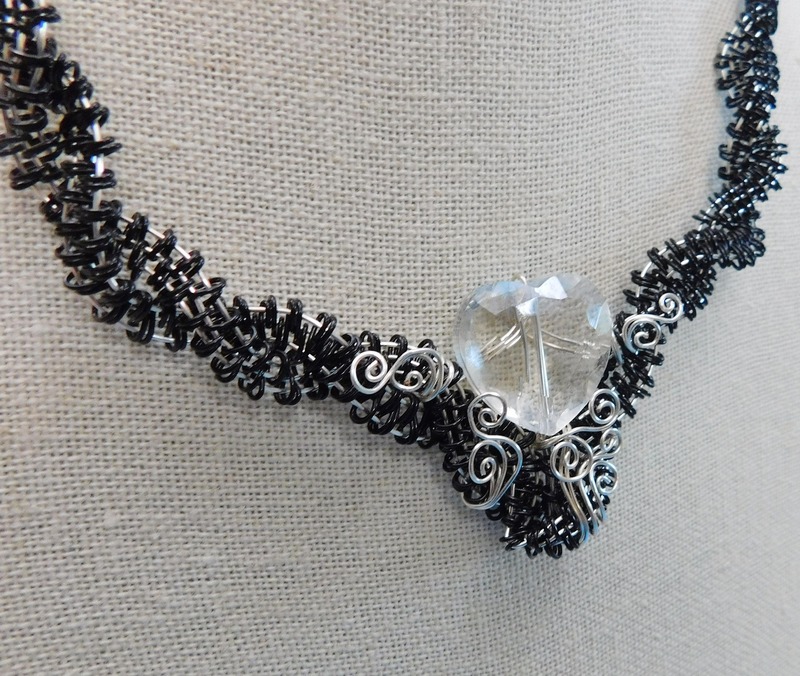 *The total length is 22 inches. 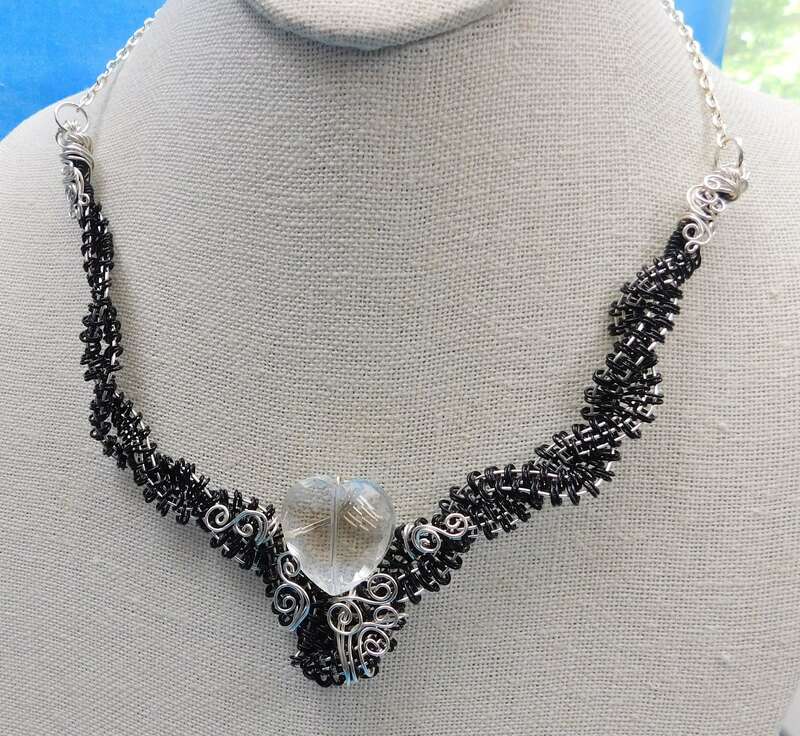 Chain length can be customized on request.